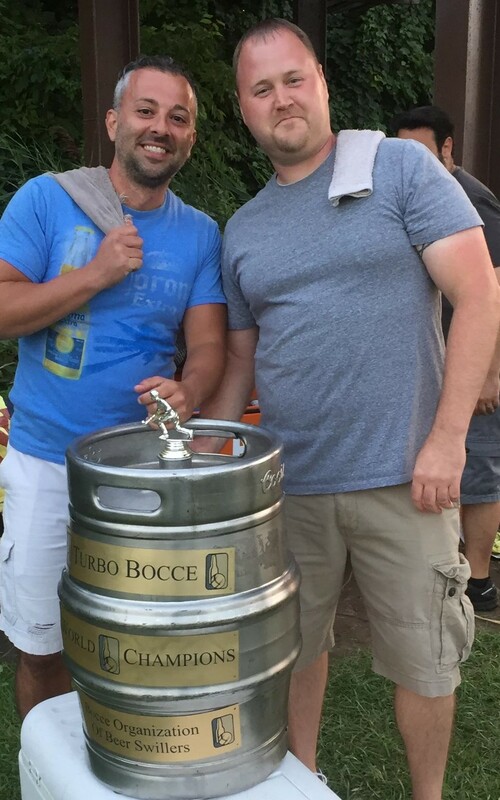 If Global Bocce knows that Bryan Mullane is the best bocce player in Syracuse, then it should be no surprise to you that Bryan won our annual 1 on 1 tournament which is also the first leg of the bocce triple crown. The second leg of the bocce triple crown is the 2 on 2 competition known also as the Turbo Bocce Championship. Bryan and his Los Moppines teammate Greg Griffo were able to continue the dominance Bryan showed in our 1 on 1 tournament, winning the Tuesday League championship with ease. 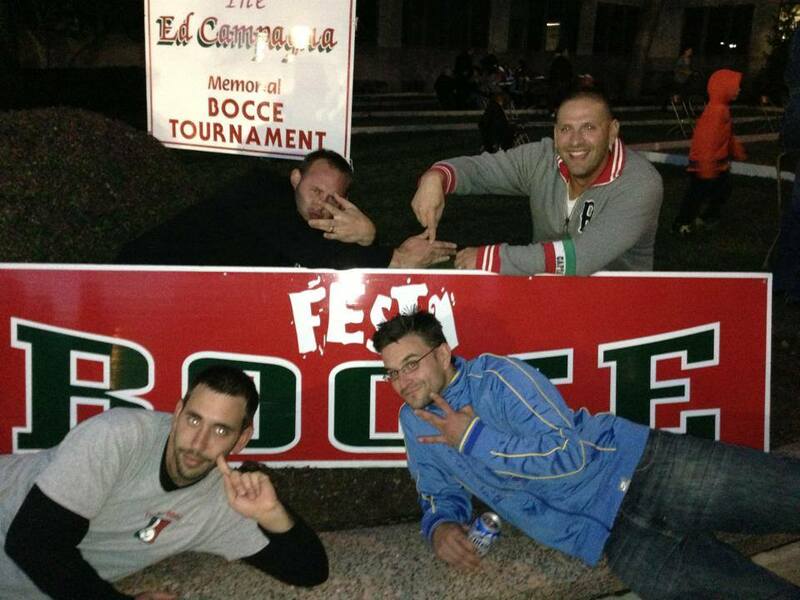 This Saturday is the annual Syracuse Italian Fest bocce tournament, or the 4 on 4 component to the bocce triple crown. For this competition, Bryan and his Los Moppines teammate Greg are partnering up with last year’s Turbo Bocce Champions George Christou and Phil Martino from Dog Brothers to form the most impressive super group since the Traveling Wilburys. If Bryan’s team happens to win this tournament (and you’d have to say they are the favorites) then Bryan will be the first person in Turbo Bocce history to win a bocce triple crown. 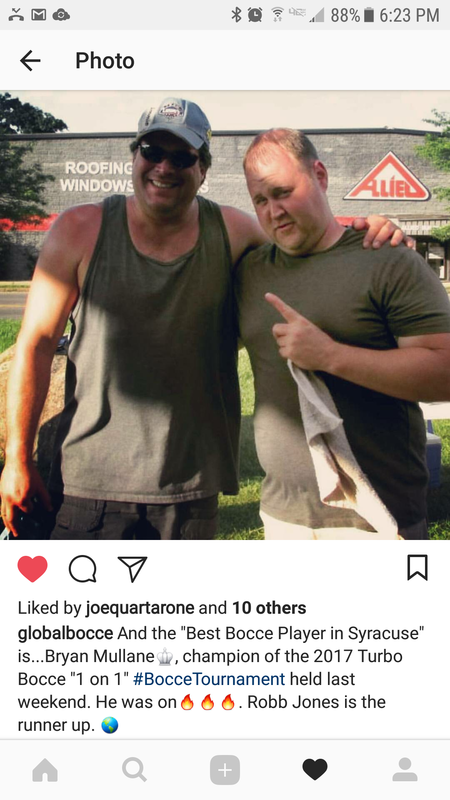 Ironically, the only person able to challenge his claim to the best bocce season in history would be his teammate Greg who was on vacation and didn’t participate in the 1 on 1 tournament but who would have a Wednesday League championship a Tuesday League championship and an Italian Fest championship to his name this year. Good luck Bryan, the eyes of the bocce world will be on you this Saturday!